“There is a river, the streams whereof shall make glad the city of God, the holy place of the tabernacles of the most High.” These words of Psalm 46:4 (KJV) are cited on page 291 of Will D. Campbell’s “The Glad River” (1982) and are apparently the source of the title. I recently finished reading Campbell’s novel, deciding to read it shortly after hearing of his death early last month. He would have celebrated his 89th birthday this week, on July 18, had he not passed away on June 3. 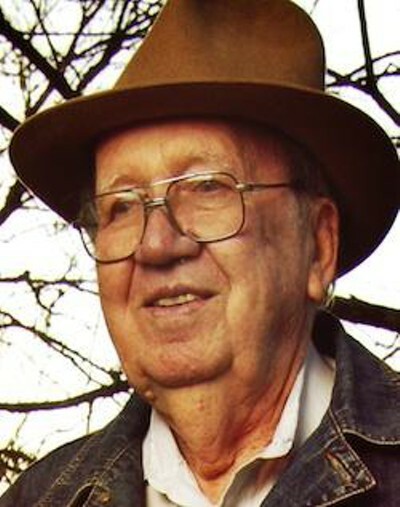 Campbell was often referred to as a “maverick.” Among other newspapers and websites, headlines in the New York Times on June 4 and on HuffingtonPost.com on June 5 described him that way. The central character in “The Glad River” is Doops, a young man born in Mississippi in 1920, four years before the author. And while Campbell said his novel was not autobiographical, Doops is also a maverick as was his creator. Although having a Baptist mother who tries for years to convince Doops to be baptized, he continually refuses to do so until late in the book—and I can’t tell the details without it being a spoiler for those of you who have yet to read the book. Doops is continually seeking to find “real” Baptists – such as those of the 16th century who were known as Anabaptists and about whom he wrote a story during his time in military service during World War II. As Doops correctly understood, those baptists (intentionally not capitalized) were pacifists, did not believe in the death penalty, and believed in the complete separation of church and state. That seemed to be what Doops also believed. And that was why he couldn’t be a conventional Baptist in the South. So, Doops was probably somewhat autobiographical after all. As a result of God’s grace, undeserved and unreserved forgiveness, another of Campbell’s themes, is clearly seen in the novel. In his highly acclaimed “Ethics: Systematic Theology, Volume I,” McClendon cites a passage from The Glad River at the beginning of Part II. Then in writing about “The Politics of Forgiveness,” McClendon tells of Campbell’s discussion with his non-believing friend P.D. East. As I wrote on this blog three years ago today, on one occasion, P. D. asked Will, “In ten words or less, what’s the Christian message?” Campbell’s pungent answer was, “We’re all bastards but God loves us anyway” (“Brother to a Dragonfly,” p. 220). Whether we admit it or not, many of us “good Christians” think we are morally superior to others, such as, perhaps, fundamentalist Christians and bigoted Southerners with whom we disagree – or even superior to people like the young men in Campbell’s novel. A serious reading of “The Glad River” can perhaps help us reflect on our pharisaicalism and even on our judgmental attitudes towards others, those bas—– whom God loves just as much as he loves us. This entry was posted in Regular Post and tagged Campbell (Will), forgiveness, grace. Bookmark the permalink.